We are very pleased to announce that our group got a paper accepted for presentation at The 2019 edition of The NAACL conference, which will be held on June 2–7, 2019 Minneapolis, USA. NAACL aims to bring together researchers interested in the design and study of natural language processing technology as well as its applications to new problem areas. With this goal in mind, the 2019 edition invites the submission of long and short papers on creative, substantial and unpublished research in all aspects of computational linguistics. It covers a diverse technical program–in addition to traditional research results, papers may present negative findings, survey an area, announce the creation of a new resource, argue a position, report novel linguistic insights derived using existing techniques, and reproduce, or fail to reproduce, previous results. Old is Gold: Linguistic Driven Approach for Entity and Relation Linking of Short Textby Ahmad Sakor, Isaiah Onando Mulang', Kuldeep Singh, Saeedeh Shekarpour, Maria Esther Vidal, Jens Lehmann, and Sören Auer. Abstract: Short texts challenge NLP tasks such as named entity recognition, disambiguation, linking and relation inference because they do not provide sufficient context or are partially malformed (e.g. wrt. capitalization, long tail entities, implicit relations). In this work, we present the Falcon approach which effectively maps entities and relations within a short text to its mentions of a background knowledge graph. Falcon overcomes the challenges of short text using a light-weight linguistic approach relying on a background knowledge graph. Falcon performs joint entity and relation linking of a short text by leveraging several fundamental principles of English morphology (e.g. compounding, headword identification) and utilizes an extended knowledge graph created by merging entities and relations from various knowledge sources. It uses the context of entities for finding relations and does not require training data. Our empirical study using several standard benchmarks and datasets show that Falcon significantly outperforms state-of-the-art entity and relation linking for short text query inventories. This work was partially funded by the Fraunhofer IAIS, and EU H2020 project IASIS. 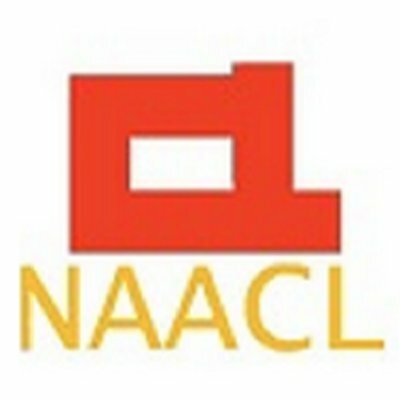 Looking forward to seeing you at The NAACL 2019 conference. We are very pleased to announce that our group got 2 papers accepted for presentation at the ESWC 2019: The 16th edition of The Extended Semantic Web Conference, which will be held on June 2-6, 2019 in Portorož, Slovenia. The ESWC is a major venue for discussing the latest scientific results and technology innovations around semantic technologies. Building on its past success, ESWC is seeking to broaden its focus to span other relevant related research areas in which Web semantics plays an important role. ESWC 2019 will present the latest results in research, technologies and applications in its field. Besides the technical program organized over twelve tracks, the conference will feature a workshop and tutorial program, a dedicated track on Semantic Web challenges, system descriptions and demos, a posters exhibition and a doctoral symposium. Abstract: Attention-based encoder-decoder neural network models have recently shown promising results in goal-oriented dialogue systems. However, these models struggle to reason over and incorporate state-full knowledge while preserving their end-to-end text generation functionality. Since such models can greatly benefit from user intent and knowledge graph integration, in this paper we propose an RNN-based end-to-end encoder-decoder architecture which is trained with joint embeddings of the knowledge graph and the corpus as input. The model provides an additional integration of user intent along with text generation, trained with multi-task learning paradigm along with an additional regularization technique to penalize generating the wrong entity as output. The model further incorporates a Knowledge graph entity lookup during inference to guarantee the generated output is state-full based on the local knowledge graph provided. We finally evaluated the model using the BLEU score, empirical evaluation depicts that our proposed architecture can aid in the betterment of task-oriented dialogue system‘s performance. Abstract: Nowadays the organization of scientific events, as well as submission and publication of papers, has become considerably easier than before. Consequently, metadata of scientific events is increasingly available on the Web, albeit often as raw data in various formats, immolating its semantics and interlinking relations. This leads to restricting the usability of this data for, e.g., subsequent analyses and reasoning. Therefore, there is a pressing need to represent this data in a semantic representation, i.e., Linked Data. We present the new release of the EVENTSKG dataset, comprising comprehensive semantic descriptions of scientific events of eight computer science communities. Currently, EVENTSKG is a 5-star dataset containing metadata of 73 top-ranked event series (about 1,950 events in total) established over the last five decades. The new release is a Linked Open Dataset adhering to an updated version of the SEO Scientific Events Ontology, a reference ontology for event metadata representation, leading to richer and cleaner data. To facilitate the maintenance of EVENTSKG and to ensure its sustainability, EVENTSKG is coupled with a Java API that enables users to create/update events metadata without going into the details of the representation of the dataset. We shed light on events characteristics by demonstrating an analysis of the EVENTSKG data, which provides a flexible means for customization in order to better understand the characteristics of top-ranked CS events. This work was partly supported by the European Union‘s Horizon 2020 funded projects WDAqua (grant no. 642795), ScienceGRAPH project (GA no.~819536), and Cleopatra (grant no. 812997), as well as the BmBF funded project Simple-ML. Furthermore, we are pleased to inform that we got a workshop and two tutorials accepted, which will be co-located with the ESWC 2019. 1st Workshop on Large Scale RDF Analytics (LASCAR-19)by Hajira Jabeen, Damien Graux, Gezim Sejdiu, Muhammad Saleem and Jens Lehmann. Abstract: This workshop on Large Scale RDF Analytics (LASCAR) invites papers and posters related to the problems faced when dealing with the enormous growth of linked datasets, and by the advancement of semantic web technologies in the domain of large scale and distributed computing. LASCAR particularly welcomes research efforts exploring the use of generic big data frameworks like Apache Spark, Apache Flink, or specialized libraries like Giraph, Tinkerpop, SparkSQL etc. for Semantic Web technologies. The goal is to demonstrate the use of existing frameworks and libraries to exploit Knowledge Graph processing and to discuss the solutions to the challenges and issues arising therein. There will be a keynote by an expert speaker, and a panel discussion among experts and scientists working in the area of distributed semantic analytics. LASCAR targets a range of interesting research areas in large scale processing of Knowledge Graphs, like querying, inference, and analytics, therefore we expect a wider audience interested in attending the workshop. SANSA’s Leap of Faith: Scalable RDF and Heterogeneous Data Lakes by Hajira Jabeen, Mohamed Nadjib Mami, Damien Graux, Gezim Sejdiu, and Jens Lehmann. Abstract: Scalable processing of Knowledge Graphs (KG) is an important requirement for today’s KG engineers. Scalable Semantic Analytics Stack (SANSA) is a library built on top of Apache Spark and it offers several APIs tackling various facets of scalable KG processing. SANSA is organized into several layers: (1) RDF data handling e.g. filtering, computation of RDF statistics, and quality assessment (2) SPARQL querying (3) inference reasoning (4) analytics over KGs. In addition to processing native RDF, SANSA also allows users to query a wide range of heterogeneous data sources (e.g. files stored in Hadoop or other popular NoSQL stores) uniformly using SPARQL. This tutorial, aims to provide an overview, detailed discussion, and a hands-on session on SANSA, covering all the aforementioned layers using simple use-cases. Abstract: With this tutorial, we aim to provide the participants with an overview of the field of Question Answering over Knowledge Graphs, insights into commonly faced problems, its recent trends, and developments. In doing so, we hope to provide a suitable entry point for the people new to this field and ease their process of making informed decisions while creating their own QA systems. At the end of the tutorial, the audience would have hands-on experience of developing a working deep learning based QA system. Looking forward to seeing you at The ESWC 2019. We are very pleased to announce that our group got a demo paper accepted for presentation at the 2019 edition of The Web Conference (30th edition of the former WWW conference), which will be held on May 13-17, 2019, in San Francisco, US. The 2019 edition of The Web Conference will offer many opportunities to present and discuss latest advances in academia and industry. This first joint call for contributions provides a list of the first calls for: research tracks, workshops, tutorials, exhibition, posters, demos, developers' track, W3C track, industry track, PhD symposium, challenges, minute of madness, international project track, W4A, hackathon, the BIG web, journal track. Querying Data Lakes using Spark and Presto by Mohamed Najib Mami, Damien Graux, Hajira Jabeen, Simon Scerri, and Sören Auer. Abstract: Squerall is a tool that allows the querying of heterogeneous, large-scale data sources by leveraging state-of-the-art Big Data processing engines: Spark and Presto. Queries are posed on-demand against a Data Lake, i.e., directly on the original data sources without requiring prior data transformation. We showcase Squerall's ability to query five different data sources, including inter alia the popular Cassandra and MongoDB. In particular, we demonstrate how it can jointly query heterogeneous data sources, and how interested developers can easily extend it to support additional data sources. Graphical user interfaces (GUIs) are offered to support users in (1) building intra-source queries, and (2) creating required input files. Furthermore, we are pleased to inform that we got a workshop paper accepted at the 5th Workshop On Managing The Evolution And Preservation of The Data Web, which will be co-located with TheWebConference 2019. The MEPDaW’19 aims at addressing challenges and issues on managing Knowledge Graph evolution and preservation by providing a forum for researchers and practitioners to discuss, exchange and disseminate their ideas and work, to network and cross-fertilise new ideas. Summarizing Entity Temporal Evolution in Knowledge Graphs by Mayesha Tasnim, Diego Collarana, Damien Graux, Fabrizio Orlandi, and Maria-Esther Vidal. Abstract: Knowledge graphs are dynamic in nature, new facts about an entity are added or removed over time. Therefore, multiple versions of the same knowledge graph exist, each of which represents a snapshot of the knowledge graph at some point in time. Entities within the knowledge graph undergo evolution as new facts are added or removed. The problem of automatically generating a summary out of different versions of a knowledge graph is a long-studied problem. However, most of the existing approaches limit to pair-wise version comparison. Making it difficult to capture complete evolution out of several versions of the same graph. To overcome this limitation, we envision an approach to create a summary graph capturing temporal evolution of entities across different versions of a knowledge graph. The entity summary graphs may then be used for documentation generation, profiling or visualization purposes. First, we take different temporal versions of a knowledge graph and convert them into RDF molecules. Secondly, we perform Formal Concept Analysis on these molecules to generate summary information. Finally, we apply a summary fusion policy in order to generate a compact summary graph which captures the evolution of entities. This research was supported by the German Ministry of Education and Research (BMBF) in the context of the project MLwin (Maschinelles Lernen mit Wissensgraphen, grant no. 01IS18050F). Looking forward to seeing you at The Web Conference 2019. We are very pleased to announce that our group got a paper accepted at the Knowledge-Based Systems Journal. Knowledge-Based Systems is an international, interdisciplinary and applications-oriented journal. This journal focuses on systems that use knowledge-based (KB) techniques to support human decision-making, learning, and action; emphases the practical significance of such KB-systems; its computer development and usage; covers the implementation of such KB-systems: design process, models and methods, software tools, decision-support mechanisms, user interactions, organizational issues, knowledge acquisition and representation, and system architectures. New label noise injection methods for the evaluation of noise filters by Luís Paulo F. Garcia, Jens Lehmann, André C.P.L.F. de Carvalho, and Ana C. Lorena. Abstract: Noise is often present in real datasets used for training Machine Learning classifiers. Their disruptive effects in the learning process may include: increasing the complexity of the induced models, a higher processing time and a reduced predictive power in the classification of new examples. Therefore, treating noisy data in a preprocessing step is crucial for improving data quality and to reduce their harmful effects in the learning process. There are various filters using different concepts for identifying noisy examples in a dataset. Their ability in noise preprocessing is usually assessed in the identification of artificial noise injected into one or more datasets. This is performed to overcome the limitation that only a domain expert can guarantee whether a real example is indeed noisy. The most frequently used label noise injection method is the noise at random method, in which a percentage of the training examples have their labels randomly exchanged. This is carried out regardless of the characteristics and example space positions of the selected examples. This paper proposes two novel methods to inject label noise in classification datasets. These methods, based on complexity measures, can produce more challenging and realistic noisy datasets by the disturbance of the labels of critical examples situated close to the decision borders and can improve the noise filtering evaluation. An extensive experimental evaluation of different noise filters is performed using public datasets with imputed label noise and the influence of the noise injection methods are compared in both data preprocessing and classification steps. We are very pleased to announce that our group got a paper accepted for presentation at The 2019 edition of The EDBT conference, which will be held on March 26-29, 2019 - Lisbon, Portugal. Big POI Data Integration with Linked Data Technologies by Spiros Athanasiou, Giorgos Giannopoulos, Damien Graux, Nikos Karagiannakis, Jens Lehmann, Axel-Cyrille Ngonga Ngomo, Kostas Patroumpas, Mohamed Ahmed Sherif, and Dimitrios Skoutas. Abstract: Point of Interest (POI) data constitutes the cornerstone in many modern applications. From navigation to social networks, tourism, and logistics, we use POI data to search, communicate, decide and plan our actions. POIs are semantically diverse and spatio-temporally evolving entities, having geographical, temporal, and thematic relations. Currently, integrating POI datasets to increase their coverage, timeliness, accuracy and value is a resource-intensive and mostly manual process, with no specialized software available to address the specific challenges of this task. In this paper, we present an integrated toolkit for transforming, linking, fusing and enriching POI data, and extracting additional value from them. In particular, we demonstrate how Linked Data technologies can address the limitations, gaps and challenges of the current landscape in Big POI data integration. We have built a prototype application that enables users to define, manage and execute scalable POI data integration workflows built on top of state-of-the-art software for geospatial Linked Data. This application abstracts and hides away the underlying complexity, automates quality-assured integration, scales efficiently for world-scale integration tasks, and lowers the entry barrier for end-users. Validated against real-world POI datasets in several application domains, our system has shown great potential to address the requirements and needs of cross-sector, cross-border and cross-lingual integration of Big POI data. This work was partially funded by the EU H2020 project SLIPO(#731581). Looking forward to seeing you at The EDBT 2019 conference. We are very pleased to announce that our group got a paper accepted at the Oxford Bioinformatics Journal. Oxford Bioinformatics Journal is a bi-weekly peer-reviewed scientific journal that focuses on genome bioinformatics and computational biology. The journal is leading its field, and publishes scientific papers that are relevant to academic and industrial researchers. BioKEEN: A library for learning and evaluating biological knowledge graph embeddings by Mehdi Ali, Charles Tapley Hoyt, Daniel Domingo-Fernandez, Jens Lehmann, and Hajira Jabeen. Abstract: Knowledge graph embeddings (KGEs) have received significant attention in other domains due to their ability to predict links and create dense representations for graphs' nodes and edges. However, the software ecosystem for their application to bioinformatics remains limited and inaccessible for users without expertise in programming and machine learning. Therefore, we developed BioKEEN (Biological KnowlEdge EmbeddiNgs) and PyKEEN (Python KnowlEdge EmbeddiNgs) to facilitate their easy use through an interactive command line interface. Finally, we present a case study in which we used a novel biological pathway mapping resource to predict links that represent pathway crosstalks and hierarchies. Availability: BioKEEN and PyKEEN are open source Python packages publicly available under the MIT License at https://github.com/SmartDataAnalytics/BioKEEN and https://github.com/SmartDataAnalytics/PyKEEN as well as through PyPI. We thank our partners from the Bio2Vec, MLwin, and SimpleML projects for their assistance. This research was supported by Bio2Vec project (http://bio2vec.net/, CRG6 grant 3454) with funding from King Abdullah University of Science and Technology (KAUST). We are very pleased to announce that our group got two papers got accepted for presentation at the Thirty-First The Thirty-Third AAAI Conference on Artificial Intelligence (AAAI-19) workshops (ComplexQA 2019 and RecNLP 2019), which will be held January 27 – February 1, 2019 at the Hilton Hawaiian Village, Honolulu, Hawaii, USA. The purpose of the Association for the Advancement of Artificial Intelligence (AAAI) conference series is to promote research in artificial intelligence (AI) and foster scientific exchange between researchers, practitioners, scientists, students, and engineers in AI and its affiliated disciplines. Reasoning for Complex Question Answering Workshop is a new series of workshops on the reasoning for complex question answering (QA). QA has become a crucial application problem in evaluating the progress of AI systems in the realm of natural language processing and understanding, and to measure the progress of machine intelligence in general. 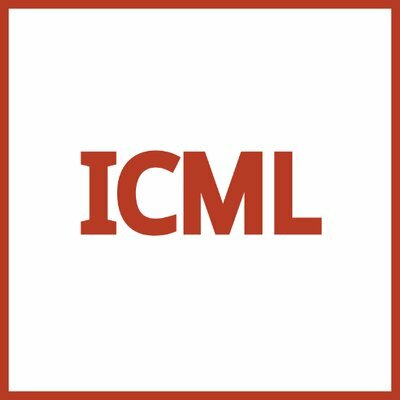 The computational linguistics communities (ACL, NAACL, EMNLP et al.) have devoted significant attention to the general problem of machine reading and question answering, as evidenced by the emergence of strong technical contributions and challenge datasets such as SQuAD. However, most of these advances have focused on “shallow” QA tasks that can be tackled very effectively by existing retrieval-based techniques. Instead of measuring the comprehension and understanding of the QA systems in question, these tasks test merely the capability of a technique to “attend” or focus attention on specific words and pieces of text. The main aim of this workshop is to bring together experts from the computational linguistics (CL) and AI communities to: (1) catalyze progress on the CQA problem, and create a vibrant test-bed of problems for various AI sub-fields; and (2) present a generalized task that can act as a harbinger of progress in AI. Recommender Systems Meet Natural Language Processing (RecNLP) is an interdisciplinary workshop covering the intersection between Recommender Systems (RecSys) and Natural Language Processing (NLP). The primary goal of RecNLP is to identify common ideas and techniques that are being developed in both disciplines, and to further explore the synergy between the two and to bring together researchers from both domains to encourage and facilitate future collaborations. Abstract: Translating natural language to SQL queries for table-based question answering is a challenging problem and has received significant attention from the research community. In this work, we extend a pointer-generator network and investigate how query decoding order matters in semantic parsing for SQL. Even though our model is a straightforward extension of a general-purpose pointer-generator, it outperforms early work for WikiSQL and remains competitive to concurrently introduced, more complex models. Moreover, we provide a deeper investigation of the potential “order-matters” problem due to having multiple correct decoding paths, and investigate the use of REINFORCE as well as a non-deterministic oracle in this context. Abstract: Discovering relevant research collaborations is crucial for performing extraordinary research and promoting the careers of scholars. Therefore, building recommender systems capable of suggesting relevant collaboration opportunities is of huge interest. Most of the existing approaches for collaboration and co-author recommendation focus on semantic similarities using bibliographic metadata such as publication counts, and citation network analysis. These approaches neglect relevant and important metadata information such as author affiliation and conferences attended, affecting the quality of the recommendations. To overcome these drawbacks, we formulate the task of scholarly recommendation as a link prediction task based on knowledge graph embeddings. A knowledge graph containing scholarly metadata is created and enriched with textual descriptions. We tested the quality of the recommendations based on the TransE, TranH and DistMult models that consider only triples in the knowledge graph and DKRL which in addition incorporates natural language descriptions of entities during training. Looking forward to seeing you at The AAAI-19. Belittling the Source: Trustworthiness Indicators to Obfuscate Fake News on the Web by Diego Esteves, Aniketh Janardhan Reddy, Piyush Chawla and Jens Lehmann. Abstract: With the growth of the internet, the number of fake-news online has been proliferating every year. The consequences of such phenomena are manifold, ranging from lousy decision-making process to bullying and violence episodes. Therefore, fact-checking algorithms became a valuable asset. To this aim, an important step to detect fake-news is to have access to a credibility score for a given information source. However, most of the widely used Web indicators have either been shut-down to the public (e.g., Google PageRank) or are not free for use (Alexa Rank). Further existing databases are short-manually curated lists of online sources, which do not scale. Finally, most of the research on the topic is theoretical-based or explore confidential data in a restricted simulation environment. In this paper we explore current research, highlight the challenges and propose solutions to tackle the problem of classifying websites into a credibility scale. The proposed model automatically extracts source reputation cues and computes a credibility factor, providing valuable insights which can help in belittling dubious and confirming trustful unknown websites. Experimental results outperform state of the art in the 2-classes and 5-classes setting. Named Entity Recognition on Noisy Data using Images and Text (1-page abstract) by Diego Esteves. Abstract: Named Entity Recognition (NER) is an important subtask of information extraction that seeks to locate and recognise named entities. Despite recent achievements, we still face limitations in correctly detecting and classifying entities, prominently in short and noisy text, such as Twitter. An important negative aspect in most of NER approaches is the high dependency on hand-crafted features and domain-specific knowledge, necessary to achieve state-of-the-art results. Thus, devising models to deal with such linguistically complex contexts is still challenging. In this paper, we propose a novel multi-level architecture that does not rely on any specific linguistic resource or encoded rule. Unlike traditional approaches, we use features extracted from images and text to classify named entities. Experimental tests against state-of-the-art NER for Twitter on the Ritter dataset present competitive results (0.59 F-measure), indicating that this approach may lead towards better NER models. DeFactoNLP: Fact Verification using Entity Recognition, TFIDF Vector Comparison and Decomposable Attention by Aniketh Janardhan Reddy and Gil Rocha and Diego Esteves. Abstract: In this paper, we describe DeFactoNLP, the system we designed for the FEVER 2018 Shared Task. The aim of this task was to conceive a system that can not only automatically assess the veracity of a claim but also retrieve evidence supporting this assessment from Wikipedia. In our approach, the Wikipedia documents whose Term Frequency-Inverse Document Frequency (TFIDF) vectors are most similar to the vector of the claim and those documents whose names are similar to those of the named entities (NEs) mentioned in the claim are identified as the documents which might contain evidence. The sentences in these documents are then supplied to a textual entailment recognition module. This module calculates the probability of each sentence supporting the claim, contradicting the claim or not providing any relevant information to assess the veracity of the claim. Various features computed using these probabilities are finally used by a Random Forest classifier to determine the overall truthfulness of the claim. The sentences which support this classification are returned as evidence. Our approach achieved a 0.4277 evidence F1-score, a 0.5136 label accuracy and a 0.3833 FEVER score. Acknowledgment This research was partially supported by an EU H2020 grant provided for the WDAqua project (GA no. 642795) and by the DAAD under the “International promovieren in Deutschland fur alle” (IPID4all) project. Looking forward to seeing you at The EMNLP/FEVER 2018. We are very pleased to announce that our group got one paper accepted for presentation at The SIGNLL Conference on Computational Natural Language Learning (CoNLL 2018) conference. 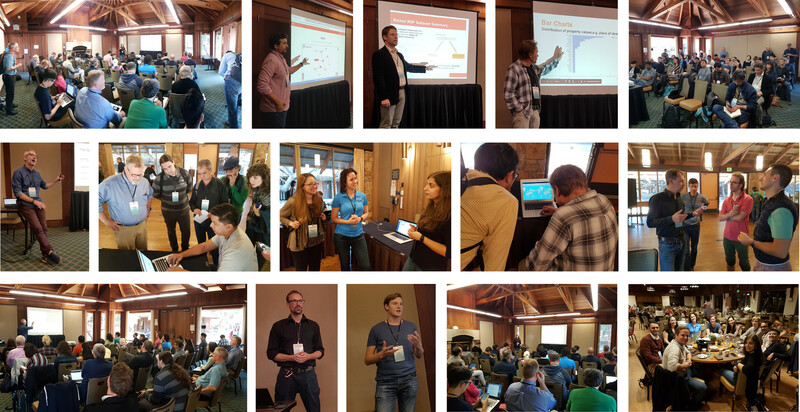 CoNLL is a top-tier conference, yearly organized by SIGNLL (ACL’s Special Interest Group on Natural Language Learning). 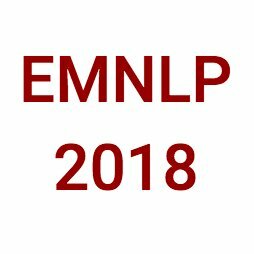 This year, CoNLL will be colocated with EMNLP 2018 and will be held on October 31 – November 1, 2018, Brussels, Belgium. The aim of the CoNLL conference is to bring researchers and practitioners from both academia and industry, in the areas of deep learning, natural language processing, and learning. It is among the top-10 Natural language processing and Computational linguistics conferences. “Improving Response Selection in Multi-turn Dialogue Systems by Incorporating Domain Knowledge” by Debanjan Chaudhuri, Agustinus Kristiadi, Jens Lehmann and Asja Fischer. Abstract : Building systems that can communicate with humans is a core problem in Artificial Intelligence. This work proposes a novel neural network architecture for response selection in an end-to-end multi-turn conversational dialogue setting. The architecture applies context level attention and incorporates additional external knowledge provided by descriptions of domain-specific words. It uses a bi-directional Gated Recurrent Unit (GRU) for encoding context and responses and learns to attend over the context words given the latent response representation and vice versa. In addition, it incorporates external domain specific information using another GRU for encoding the domain keyword descriptions. This allows better representation of domain-specific keywords in responses and hence improves the overall performance. Experimental results show that our model outperforms all other state-of-the-art methods for response selection in multi-turn conversations. This research was supported by the KDDS project at Fraunhofer. Looking forward to seeing you at The CoNLL 2018. Abstract: The increasing adoption of the Linked Data format, RDF, over the last two decades has brought new opportunities. It has also raised new challenges though, especially when it comes to managing and processing large amounts of RDF data. In particular, assessing the internal structure of a data set is important, since it enables users to understand the data better. One prominent way of assessment is computing statistics about the instances and schema of a data set. However, computing statistics of large RDF data is computationally expensive. To overcome this challenging situation, we previously built DistLODStats, a framework for parallel calculation of 32 statistical criteria over large RDF datasets, based on Apache Spark. Running DistLODStats is, thus, done via submitting jobs to a Spark cluster. Often times, this process is done manually, either by connecting to the cluster machine or via a dedicated resource manager. This approach is inconvenient as it requires acquiring new software skills as well as the direct interaction of users with the cluster. In order to make the use of DistLODStats easier, we propose in this paper an approach for triggering RDF statistics calculation remotely simply using HTTP requests. DistLODStats is built as a plugin into the larger SANSA Framework and makes use of Apache Livy, a novel lightweight solution for interacting with Spark cluster via a REST Interface. Abstract: In this demo paper, we present the interface of the SQCFramework, a SPARQL query containment benchmark generation framework. SQCFramework is able to generate customized SPARQL containment benchmarks from real SPARQL query logs. To this end, the framework makes use of different clustering techniques. It is flexible enough to generate benchmarks of varying sizes and complexities according to user-defined criteria on important SPARQL features for query containment benchmarking. We evaluate the usability of the interface by using the standard system usability scale questionnaire. Our overall usability score of 82.33 suggests that the online interface is consistent, easy to use, and the various functions of the system are well integrated. AcknowledgmentThis work has received funding from the EU Horizon 2020 projects BigDataEurope (GA 644564) and QROWD (GA no. 723088), the Marie Skłodowska-Curie action WDAqua(GA No 642795), and HOBBIT (GA. 688227), and (project SlideWiki, grant no. 688095), and the German Ministry of Education and Research (BMBF) in the context of the projects LiDaKrA (Linked-Data-basierte Kriminalanalyse, grant no. 13N13627) and InDaSpacePlus (grant no. 01IS17031). Looking forward to seeing you at The ISWC 2018. Abstract: In this poster, we will present attendees how the recent state-of-the-art Semantic Web tool SANSA could be used to tackle blockchain specific challenges. In particular, the poster will focus on the use case of CryptoKitties: a popular Ethereum-based online game where users are able to trade virtual kitty pets in a secure way. Abstract: The European General Data Protection Regulation (GDPR) sets new precedents for the processing of personal data. In this paper, we propose an architecture that provides an automated means to enable transparency with respect to personal data processing and sharing transactions and compliance checking with respect to data subject usage policies and GDPR legislative obligations. Abstract: The way how research is communicated using text publications has not changed much over the past decades. We have the vision that ultimately researchers will work on a common structured knowledge base comprising comprehensive semantic and machine-comprehensible descriptions of their research, thus making research contributions more transparent and comparable. We present the SemSur ontology for semantically capturing the information commonly found in survey and review articles. SemSur is able to represent scientific results and to publish them in a comprehensive knowledge graph, which provides an efficient overview of a research field, and to compare research findings withrelated works in a structured way, saving researchers a significant amount of time and effort. The new release of SemSur covers more domains, defines better alignment with external ontologies and rules for eliciting implicit knowledge. We discuss possible applications and present an evaluation of our approach with the retrospective, exemplary semantification of a survey. We demonstrate the utility of the SemSur ontology to answer queries about the different research contributions covered by the survey. SemSur is currently used and maintained at OpenResearch.org. Abstract: The proliferation of ontologies and multilingual data available on the Web has motivated many researchers to contribute to multilingual and cross-lingual ontology enrichment. Cross-lingual ontology enrichment greatly facilitates ontology learning from multilingual text/ontologies in order to support collaborative ontology engineering process.This article proposes a cross-lingual ontology enrichment (CLOE) approach based on a multi-agent architecture in order to enrich ontologies from a multilingual text or ontology. This has several advantages: 1) an ontology is used to enrich another one, written in a different natural language, and 2) several ontologies could be enriched at the same time using a single chunk of text (Simultaneous Ontology Enrichment). A prototype for the proposed approach has been implemented in order to enrich several ontologies using English, Arabic and German text. Evaluation results are promising and showing that CLOE performs well in comparison with four state-of-the-art approaches. AcknowledgmentThis work has received funding from the EU Horizon 2020 projects BigDataOcean (GA. 732310) and QROWD (GA no. 723088), the Marie Skłodowska-Curie action WDAqua (GA No 642795), and SPECIAL (GA. 731601). Looking forward to seeing you at The SEMANTiCS 2018. Abstract: We study question answering systems over knowledge graphs which map an input natural language question into candidate formal queries. Often, a ranking mechanism is used to discern the queries with higher similarity to the given question. Considering the intrinsic complexity of the natural language, finding the most accurate formal counter-part is a challenging task. In our recent paper, we leveraged Tree-LSTM to exploit the syntactical structure of input question as well as the candidate formal queries to compute the similarities. An empirical study shows that taking the structural information of the input question and candidate query into account enhances the performance, when compared to the baseline system. Acknowledgment This research was supported by EU H2020 grants for the projects HOBBIT (GA no. 688227) and WDAqua (GA no. 642795) as well as by German Federal Ministry of Education and Research (BMBF) funding for the project SOLIDE (no. 13N14456). Looking forward to seeing you at The TPDL 2018. Abstract: Many question answering systems over knowledge graphs rely on entity and relation linking components in order to connect the natural language input to the underlying knowledge graph. Traditionally, entity linking and relation linking has been performed either as a dependent, sequential tasks or as independent, parallel tasks. In this paper, we propose a framework called EARL, which performs entity linking and relation linking as a joint task. EARL implements two different solution strategies for which we provide a comparative analysis in this paper: The first strategy is a formalization of the joint entity and relation linking tasks as an instance of the Generalised Travelling Salesman Problem (GTSP). In order to be computationally feasible, we employ approximate GTSP solvers. The second strategy uses machine learning in order to exploit the connection density between nodes in the knowledge graph. It relies on three base features and re-ranking steps in order to predict entities and relations. We compare the strategies and evaluate them on a dataset with 5000 questions. Both strategies significantly outperform the current state-of-the-art approaches for entity and relation linking. Abstract: Over the last years, the Semantic Web has been growing steadily. Today, we count more than 10,000 datasets made available online following Semantic Web standards. Nevertheless, many applications, such as data integration, search, and interlinking, may not take the full advantage of the data without having a priori statistical information about its internal structure and coverage. In fact, there are already a number of tools, which offer such statistics, providing basic information about RDF datasets and vocabularies. However, those usually show severe deficiencies in terms of performance once the dataset size grows beyond the capabilities of a single machine. In this paper, we introduce a software library for statistical calculations of large RDF datasets, which scales out to clusters of machines. More specifically, we describe the first distributed in-memory approach for computing 32 different statistical criteria for RDF datasets using Apache Spark. The preliminary results show that our distributed approach improves upon a previous centralized approach we compare against and provides approximately linear horizontal scale-up. The criteria are extensible beyond the 32 default criteria, is integrated into the larger SANSA framework and employed in at least four major usage scenarios beyond the SANSA community. Abstract: Institutions from different domains require the integration of data coming from heterogeneous Web sources. Typical use cases include Knowledge Search, Knowledge Building, and Knowledge Completion. We report on the implementation of the RDF Molecule-Based Integration Framework MINTE+ in three domain-specific applications: Law Enforcement, Job Market Analysis, and Manufacturing. The use of RDF molecules as data representation and a core element in the framework gives MINTE+ enough flexibility to synthesize knowledge graphs in different domains. We first describe the challenges in each domain-specific application, then the implementation and configuration of the framework to solve the particular problems of each domain. We show how the parameters defined in the framework allow to tune the integration process with the best values according to each domain. Finally, we present the main results, and the lessons learned from each application. AcknowledgmentThis work has received funding from the EU Horizon 2020 projects BigDataEurope (GA no. 644564) and QROWD (GA no. 723088), the Marie Skłodowska-Curie action WDAqua(GA No 642795), and HOBBIT (GA. 688227), and (project SlideWiki, grant no. 688095), and the German Ministry of Education and Research (BMBF) in the context of the projects LiDaKrA (Linked-Data-basierte Kriminalanalyse, grant no. 13N13627) and InDaSpacePlus (grant no. 01IS17031). Abstract: In the past decade Knowledge graphs have become very popular and frequently rely on the Resource Description Framework (RDF) or Property Graphs (PG) as their data models. However, the query languages for these two data models – SPARQL for RDF and the PG traversal language Gremlin – are lacking basic interoperability. In this demonstration paper, we present Gremlinator, the first translator from SPARQL – the W3C standardized language for RDF – to Gremlin – a popular property graph traversal language. Gremlinator translates SPARQL queries to Gremlin path traversals for executing graph pattern matching queries over graph databases. This allows a user, who is well versed in SPARQL, to access and query a wide variety of Graph databases avoiding the steep learning curve for adapting to a new Graph Query Language (GQL). Gremlin is a graph computing system-agnostic traversal language (covering both OLTP graph databases and OLAP graph processors), making it a desirable choice for supporting interoperability for querying Graph databases. Gremlinator is planned to be released as an Apache TinkerPop plugin in the upcoming releases. AcknowledgmentThis work has received funding from the EU H2020 R&I programme for the Marie Skłodowska-Curie action WDAqua (GA No 642795). “Efficiently Pinpointing SPARQL Query Containments” by Claus Stadler, Muhammad Saleem, Axel-Cyrille Ngonga Ngomo, and Jens Lehmann. Abstract: Query containment is a fundamental problem in database research, which is relevant for many tasks such as query optimisation, view maintenance and query rewriting. For example, recent SPARQL engines built on Big Data frameworks that precompute solutions to frequently requested query patterns, are conceptually an application of query containment. We present an approach for solving the query containment problem for SPARQL queries – the W3C standard query language for RDF datasets. Solving the query containment problem can be reduced to the problem of deciding whether a sub graph isomorphism exists between the normalized algebra expressions of two queries. Several state-of-the-art methods are limited to matching two queries only, as well as only giving a boolean answer to whether a containment relation holds. In contrast, our approach is fit for view selection use cases, and thus capable of efficiently enumerating all containment mappings among a set of queries. Furthermore, it provides the information about how two queries’ algebra expression trees correspond under containment mappings. All of our source code and experimental results are openly available. “OpenBudgets.eu: A Platform for SemanticallyRepresenting and Analyzing Open Fiscal Data” by Fathoni A. Musyaffa, Lavdim Halilaj, Yakun Li, Fabrizio Orlandi, Hajira Jabeen, Sören Auer, and Maria-Esther Vidal. Abstract: Budget and spending data are among the most published Open Data datasets on the Web and continuously increasing in terms of volume over time. These datasets tend to be published in large tabular files – without predefined standards – and require complex domain and technical expertise to be used in real-world scenarios. Therefore, the potential benefits of having these datasets open and publicly available are hindered by their complexity and heterogeneity. Linked Data principles can facilitate integration, analysis and usage of these datasets. In this paper, we present OpenBudgets.eu (OBEU), a Linked Data-based platform supporting the entire open data life-cycle of budget and spending datasets: from data creation to publishing and exploration. The platform is based on a set of requirements specifically collected by experts in the budget and spending data domain. It follows a micro-services architecture that easily integrates many different software modules and tools for analysis, visualization and transformation of data. Data i represented according to a logical model for open fiscal data which is translated into both RDF data and a tabular data formats. We demonstrate the validity of the implemented OBEU platform with real application scenarios and report on a user study conducted to confirm its usability. AcknowledgmentThis work was partly supported by the grant from the European Unions Horizon 2020 research Europe flag and innovation programme for the projects HOBBIT (GA no. 688227), QROWD (GA no. 732194), WDAqua (GA no. 642795), OpenBudgets.eu the EU H2020 (GA no. 645833) and DAAD scholarship. “Formal Query Generation for Question Answering over Knowledge Bases” by Hamid Zafar, Giulio Napolitano and Jens Lehmann. Abstract: Question answering (QA) systems often consist of several components such as Named Entity Disambiguation (NED), Relation Extraction (RE), and Query Generation (QG). In this paper, we focus on the QG process of a QA pipeline on a large-scale Knowledge Base (KB), with noisy annotations and complex sentence structures. We therefore propose SQG, a SPARQL Query Generator with modular architecture, enabling easy integration with other components for the construction of a fully functional QA pipeline. SQG can be used on large open-domain KBs and handle noisy inputs by discovering a minimal subgraph based on uncertain inputs, that it receives from the NED and RE components. This ability allows SQG to consider a set of candidate entities/relations, as opposed to the most probable ones, which leads to a significant boost in the performance of the QG component. The captured subgraph covers multiple candidate walks, which correspond to SPARQL queries. To enhance the accuracy, we present a ranking model based on Tree-LSTM that takes into account the syntactical structure of the question and the tree representation of the candidate queries to find the one representing the correct intention behind the question. “Frankenstein: a Platform Enabling Reuse of Question Answering Components Paper” Resource Track by Kuldeep Singh, Andreas Both, Arun Sethupat, Saeedeh Shekarpour. Abstract: Recently remarkable trials of the question answering (QA) community yielded in developing core components accomplishing QA tasks. However, implementing a QA system still was costly. While aiming at providing an efficient way for the collaborative development of QA systems, the Frankenstein framework was developed that allows dynamic composition of question answering pipelines based on the input question. In this paper, we are providing a full range of reusable components as independent modules of Frankenstein populating the ecosystem leading to the option of creating many different components and QA systems. Just by using the components described here, 380 different QA systems can be created offering the QA community many new insights. Additionally, we are providing resources which support the performance analyses of QA tasks, QA components and complete QA systems. Hence, Frankenstein is dedicated to improve the efficiency within the research process w.r.t. QA. “Using Ontology-based Data Summarization to Develop Semantics-aware Recommender Systems” by Tommaso Di Noia, Corrado Magarelli, Andrea Maurino, Matteo Palmonari, Anisa Rula. Abstract: In the current information-centric era, recommender systems are gaining momentum as tools able to assist users in daily decision-making tasks. They may exploit users’ past behavior combined with side/contextual information to suggest them new items or pieces of knowledge they might be interested in. Within the recommendation process, Linked Data (LD) have been already proposed as a valuable source of information to enhance the predictive power of recommender systems not only in terms of accuracy but also of diversity and novelty of results. In this direction, one of the main open issues in using LD to feed a recommendation engine is related to feature selection: how to select only the most relevant subset of the original LD dataset thus avoiding both useless processing of data and the so called “course of dimensionality” problem. In this paper we show how ontology-based (linked) data summarization can drive the selection of properties/features useful to a recommender system. In particular, we compare a fully automated feature selection method based on ontology-based data summaries with more classical ones and we evaluate the performance of these methods in terms of accuracy and aggregate diversity of a recommender system exploiting the top-k selected features. We set up an experimental testbed relying on datasets related to different knowledge domains. Results show the feasibility of a feature selection process driven by ontology-based data summaries for LD-enabled recommender systems. Аbstract: With this tutorial, we aim to provide the participants with an overview of the field of Question Answering, insights into commonly faced problems, its recent trends, and developments. At the end of the tutorial, the audience would have hands-on experience of developing two working QA systems- one based on rule-based semantic parsing, and another, a deep learning based method. In doing so, we hope to provide a suitable entry point for the people new to this field and ease their process of making informed decisions while creating their own QA systems. “SML-Bench -- A Benchmarking Framework for Structured Machine Learning” by Patrick Westphal, Lorenz Bühmann, Simon Bin, Hajira Jabeen, Jens Lehmann. Abstract: The availability of structured data has increased significantly over the past decade and several approaches to learn from structured data have been proposed. These logic-based, inductive learning methods are often conceptually similar, which would allow a comparison among them even if they stem from different research communities. However, so far no efforts were made to define an environment for running learning tasks on a variety of tools, covering multiple knowledge representation languages. With SML-Bench, we propose a benchmarking framework to run inductive learning tools from the ILP and semantic web communities on a selection of learning problems. In this paper, we present the foundations of SML-Bench, discuss the systematic selection of benchmarking datasets and learning problems, and showcase an actual benchmark run on the currently supported tools. Acknowledgement This part of work is supported were supported by grants from the EU FP7 Programme for the project GeoKnow (GA no. 318159) as well as for the German Research Foundation project GOLD and the German Ministry for Economic Affairs and Energy project SAKE (GA no. 01MD15006E), the European Union’s Horizon 2020 research and innovation programme for the project SLIPO (GA no. 731581) as well as the European Union's H2020 research and innovation action HOBBIT (GA 688227) and the CSA BigDataEurope (GA No 644564).